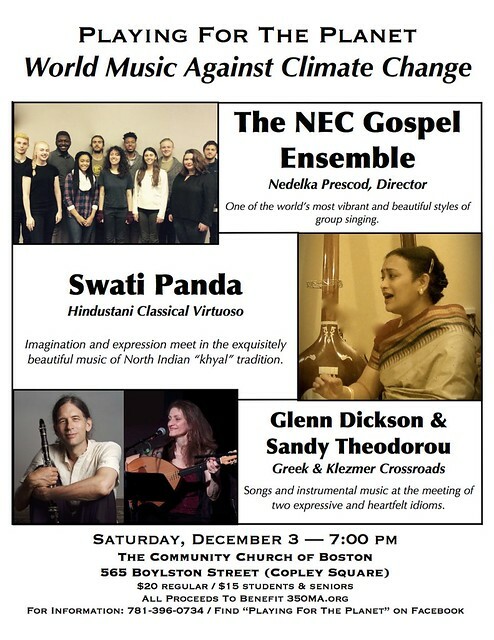 On Saturday, December 3, the fourteenth “Playing For The Planet” benefit concert will showcase master musicians from three different musical traditions, with all proceeds going to benefit the environmental advocacy group 350MA.org. The performers include Klezmer and Greek perspectives from Glenn Dickson & Sandy Theodorou, the enthralling Hindustani (North Indian) vocal music of Swati Panda, and the rich vocal blend of the NEC Gospel Ensemble. The music begins at 7:00 pm, at The Community Church Of Boston, 565 Boylston Street (Copley Square), Boston. Admission is $20; $15 students & seniors. For information, please call 781-396-0734, or visit the event website at www.warrensenders.com. PLEASE NOTE THAT CCNOW PURCHASES WILL NOT BE PROCESSED AFTER 4 PM ON THE DAY OF THE CONCERT. JUST COME ON DOWN TO THE SHOW! “Playing For The Planet: World Music Against Climate Change” is the fourteenth concert in an ongoing series of cross-cultural events produced by Boston-area musician and environmental activist Warren Senders. These concerts were conceived as a way for creative musicians to contribute to the urgent struggle against global warming. Their choice of beneficiary, 350MA.org, is focused on building global consensus on reduction of atmospheric CO2 levels — action which climatologists agree is necessary to avoid catastrophic outcomes. 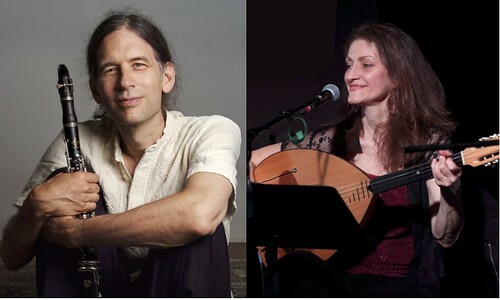 Glenn has garnered international attention for his work with Shirim Klezmer Orchestra and Naftule’s Dream, while Sandy is a major force for the revival of traditional music in the Boston area with her band, Revma, and her work with Rebetoparea and Oinos. Mainstays in the traditional klezmer and Greek music scenes in Boston and beyond, Glenn and Sandy will present a set of traditional klezmer and Greek tunes, two extremely expressive folk musics which feature the clarinet and accordion. From the mesmerizing laments of Epirus to the rollicking freylakhs of the Ukrainian Jews, the duo’s musicianship is astonishing, their versatility uncanny. Sandy (Matoula) Theodorou is a vocalist, accordion, and laouto player who specializes in traditional Greek regional music and Greek urban rebetika. She has performed with master musicians including Beth Bahia Cohen, Manos Koutsaggelides, Malcolm Barsamian, and Grigoris Marinakis. She was nominated for Best Sound Designer by the New Hampshire Theatre Awards for her design and performance of music for the theatrical production “The Burial At Thebes”. She performed with the Boston Lykeion Ellinidon and served as chairperson of their Traditional Greek Music Department. She was born in Pireas, and musically inspired by her family roots in Epiros and Kefalonia. “Good music is that which touches your soul” says Swati Panda, the founder of the Raganjali School of Music. The propagation of Hindustani music in Massachusetts is her mission. A dedicated teacher, Swati Panda strives to inculcate the love for music in her students through clear instruction and intensive training. Raganjali School of Music is a modern day Gurukul, which currently offers Hindustani vocal music classes at Shrewsbury. 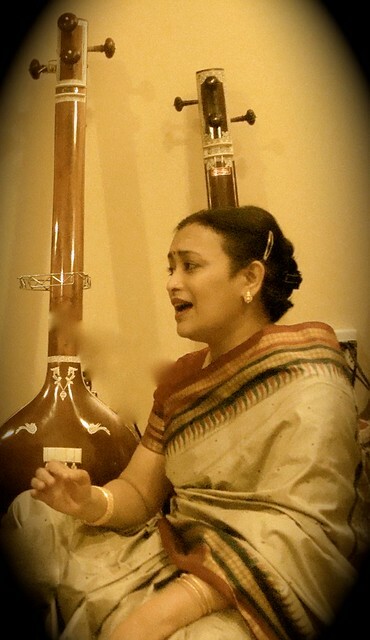 Swati Panda holds a Masters’ (Sangeet Alankar) degree in Hindustani (North Indian Classical) vocal music from Sangeet Mandir, Bhubaneswar, Orissa – an affiliate of the Akhil Bharatiya Gandharva Mahavidyalaya Mandal, Pune. Swati’s musical training began with Guru Shri Gopal Ch. Panda. A few years later, she found her musical guide and mentor, Late Dr. Mohan Charan Senapati. It was under his loving and patient guidance that she received her Sangeet Visharad (B.A.) & Sangeet Alankar (M.A.) degrees from the ABGMV, Pune, via Sangeet Mandir (founded in Bhubaneswar by Dr. Senapati, and an affiliate of the Sangeet Mahavidyalaya in Pune). Swati’s style represents a blend of Gwalior & Kirana gharaana gayaki, the result of her Guru’s extensive training under the well known Gwalior Gharana vocalist Pandit Keshav Bua Ingle and the Kirana Gharana legend Pandit Bhimsen Joshi. Swati’s gayaki is characterized by methodical, yet mellifluous note progression followed by varied and complex taan patterns. Besides Khayals, Swati’s repertoire includes thumri, bhajans and other semi-classical compositions. Swati has been composing, writing and teaching music in the Massachusetts area since 1993. She will be accompanied by Harshal Tole on tabla and Rajesh Saluja on harmonium. 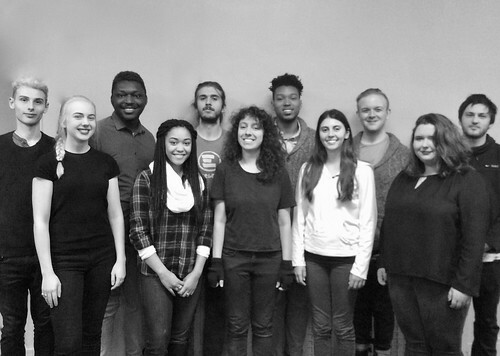 The New England Conservatory’s Gospel Ensemble was formed in the Fall of 2013. Under the direction of Nedelka F. Prescod, the Ensemble explores “modern” Gospel music from its beginnings in the late 1960s to its current sound and expression. From this expansive, evolving and growing canon of Black Sacred music, NEC’s Gospel Ensemble selects the music of key composers and choir leaders to study, workshop and present with authenticity and sincerity. The vocalists in the ensemble have opportunities to learn and work with traditional and more current forms of vocal harmony, call and response/hymn lining and solo improvisation as utilized in modern African-American churches. The instrumentalists are offered opportunities to arrange as an independent entity, work with re-harmonizations, build their sensitivity and skill sets for accompanying vocalists, as well as learn the subtleties that establish the genre’s unique sound and feel. All music is taught/learned through oral tradition with a focus on the importance and role of music in African-American social and spiritual settings. NEDELKA F. PRESCOD is a vocalist, arranger, songwriter, choral director, vocal coach, educator, social activist and mother. She has performed or shared the stage with such living legends as Kenny Garrett, Danilo Perez, Fred Hersch, Jason Moran, Jowee Omicil, Ben Eunson, and with the Omar Thomas Large Ensemble. Her artistry can be heard on recordings with Kenny Garrett, Danilo Perez, Pharoah Sanders, Brian Blade, Mulgrew Miller, Lionel Loueke, Anti­Pop Consortium, and on her independently released solo recording project, “Manifest” (2008). She has also performed background vocals for Alicia Keys, Jonathan Nelson, Jason Nelson and Dorothy Norwood. Co-founded by environmentalist and author Bill McKibben, 350.org is the hub of a worldwide network of over two hundred environmental organizations, all with a common target: persuading the world’s countries to unite in an effort to reduce global levels of atmospheric carbon dioxide to 350 parts per million or less. Climatologist Dr. James Hansen says, “If humanity wishes to preserve a planet similar to that on which civilization developed and to which life on Earth is adapted, paleoclimate evidence and ongoing climate change suggest that CO2 will need to be reduced from its current 400 ppm to at most 350 ppm.” (Dr. Hansen headed the NASA Institute for Space Studies in New York City, and is best known for his testimony on climate change to congressional committees in the 1980s that helped raise broad awareness of the global warming issue.) Activists involved in the 350 movement include Rajendra Pachauri (Chairman, Intergovernmental Panel on Climate Change), Vandana Shiva (world-renowned environmental leader and thinker), Archbishop Desmond Tutu (1984 winner of the Nobel Peace Prize and a global activist on issues pertaining to democracy, freedom and human rights), Van Jones, Bianca Jagger, Barbara Kingsolver and many more.